What it’s about: Genghis Khan is rightly the most famous Mongol of all time. He was a child slave who escaped to freedom and then united his quarreling people into a disciplined fighting force that conquered half the world. But just as fascinating is a woman two centuries later, who managed to unite the broken pieces of Khan’s empire and become a formidable leader in her own right. Biggest controversy: Mandukhai Khatun’s route to power involved marrying her adopted son. Her father was the chingsang (grand councillor) of the Ongud, one of the many factions of Mongols, living in what’s now northeastern China. At 18, she married the Ongud’s ruler, Manduul Khan, and had two daughters. When Manduul was poisoned by a Ming Dynasty spy, his wife fled the ensuing power struggle. While in hiding, she came across 7-year-old Batmunkh, the last known legitimate descendent of Genghis Khan. (Wikipedia doesn’t say this, but most of Genghis’ legitimate heirs were killed in various power struggles, as their lineage made them favorites to the throne of any Mongol faction). She adopted the boy and proclaimed him Dayan Khan, the new king. Through sheer force of will, she got the Ongud to accept a child as their new ruler, and through him, she led the country as his regent. Once the boy turned 19, she further consolidated her power by marrying him and becoming queen, or Khatun. The only one the Oirats refused was the one regarding meat. But to Mongols, Mandukhai’s intent was clear. Despite conquering an empire twice as large as any in history, Genghis Khan maintained a spartan, simple life, living in a ger, eating with his fingers, as any nomad of the steppes would. His sons were far more decadent, and the empire collapsed under their rule. Mandukhai was going back to basics. Thing we were happiest to learn: Mandukhai didn’t only come to power through political intrigue. She led her armies into battle, wearing the same helmet and sword as her soldiers to fight off attacks by the neighboring Ming Dynasty. When the Oirats rebelled, she led the army into battle despite being heavily pregnant, and stopped fighting only long enough to give birth to twins. The Ming response to Mandukhai’s victory in the field was to greatly expand the Great Wall. 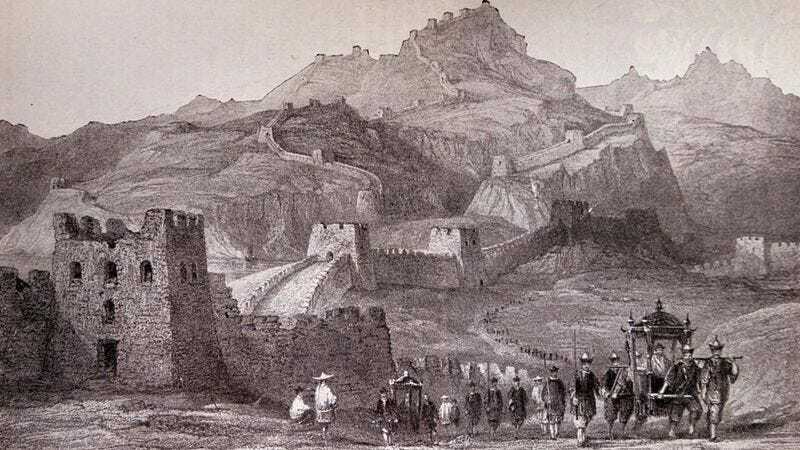 While China had been building significant defensive walls since at least the fifth century B.C., most of the earliest ones were earthen and did not survive. The Great Wall that still exists today was built by the Ming, largely to prevent raids by both Mandukhai’s Onguds, and their rival Oirats. Thing we were unhappiest to learn: We know virtually nothing about Mandukhai’s death. It’s believed she died around 1510, at roughly age 60. Some reports say she died of natural causes, but rumors abounded that she was murdered by the Ming or by a jealous lover of her husband’s. By Mongol tradition, the location of her grave was a deeply held secret (Genghis Khan is buried somewhere in an area of Mongolia that was forbidden for anyone to enter well into the Soviet occupation of the country). Her descendants ruled Mongolia for four centuries after her death, until the Soviet era began in 1924. Best link to elsewhere on Wikipedia: Women in 15th-century warfare is full of fascinating stories (most of them too short or incomplete to be Wormhole subjects, sadly). But you can click through to read about Ólöf Loftsdóttir, who was captured by British pirates in 1455, and devoted the rest of her life to driving them out of her native Iceland. Or Bauck Poppema, who defended a Dutch fort while pregnant and gave birth in a dungeon after losing the siege, and is still a national hero 500 years later. The biggest name on this list is Joan Of Arc, but the French also celebrate Jeanne Hachette (“Joan The Hatchet”), who fought alongside 300 men to prevent Beauvais from being captured by Charles The Bold. When one of the enemy planted his flag on the battlements, Jeanne attacked him with an ax, threw him into a moat, then tossed his flag down, rallying the troops to victory. Further down the Wormhole: Mandukhai’s empire led more or less directly to modern-day Mongolia. That country is still adjacent to China, though the Great Wall no longer marks the border, and its neighbor to the north is Russia. Once the USSR disbanded and Russia became its own country again, Mongolia quickly shed Soviet influence as well, with a democratic revolution in 1990. But Russia did inherit significant pieces of the Soviet legacy, including its space program. While NASA has relied heavily on Russia in the past few decades, the dynamic used to be quite different. Next week we’ll blast off (or fail to) with the Buran program, the USSR’s doomed answer to America’s space shuttle.